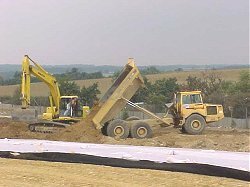 The excavation of a fishing lake and landscaping of associated parkland covering a 30 acre site and involving the handling in excess of 1,000,000m3 of material. 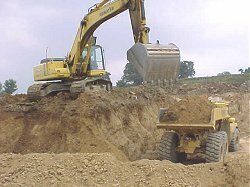 The restoration to ADAS specification for agricultural use of completed landfill and exhausted quarry sites. The area involved is in excess of 200 acres. Provision of a protective bund adjacent the public highway as per landscape architects specifications.